Come & check us out we’re only a few years old! We have the region’s most secure facility with all the latest features. See below for more details. We cater to all nearby areas including Yamba, Maclean, Coffs Harbour & Woolgoolga. Just 5 minutes off the Pacific Highway. Save $$$ – Rent Only The Space You Need! We have a range of difference self storage sizes & spaces to suit your needs & your wallet too! 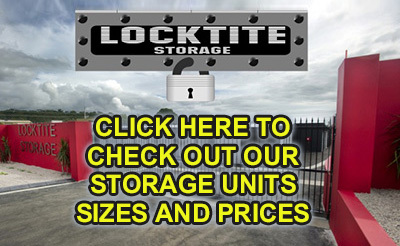 From big self storage sheds down to small locker sized storage units. We have the region’s most secure facility with perimeter fencing, electronic controlled 24 hour PIN access, 24 hour CCTV surveillance and individually alarmed doors. A first for the region. Self storage for your furniture, household goods, cars, tools, documents, office storage, business storage, you name it! Safe, Clean, Dry – FLOOD PROOF! That’s right, we’ve got you secure, high and dry. Store with us & rest assured all is taken care of!